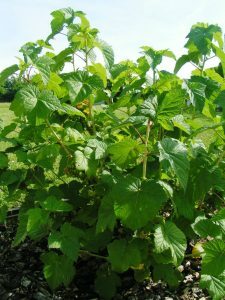 The International Blackcurrant Association has started to collect data from blackcurrant breeding centers. 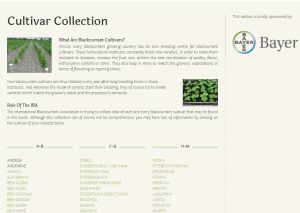 A collection of almost 70 commercially available blackcurrant varieties is now online for IBA members. Even though the collection is not comprehensive and still needs improvement, the result is already impressive. Thanks to the members of the IBA Agronomy & Plant Breeding Sector Group and with the financial support of Bayer, this list may help all those who want to compare. Every cultivar has its own description, focusing on plant specifics and fruit specifics. It also mentions the breeding center and other commercial aspects of interest to growers. The collection still needs a review. We still need to add pictures. More details will complete each description. But it is already an excellent start and can be of help to any user. Whether growers or processors are concerned: the right variety can make a huge difference! Lots of blackcurrant varieties exist all over the world. New cultivars are being bred in almost every blackcurrant growing country. It is certainly difficult to make the right choice among over 150 cultivars. The criteria of the fruit growers may be economic (time of flowering and harvesting, yield potential…) or agronomic (resistance to diseases for example). What is of interest to processors, though, has much more to do with the chemical composition of the fruits: acidity, sugar content, color, taste… Some processors will accept only certain currants to achieve the best result in their products. This is the case, for example, for the production of Ribena in the UK. Or on the other side of the Channel, French liqueur manufacturers like Vedrenne or others, will not accept more than four or five very specific varieties. What matters to them is the taste of their products. And not to forget: the insurance to have the best quality from contracted growers.